So, I showed you how to make Shrimp Mozambique, so now let’s move on to Chicken Mozambique. I’ll be honest. 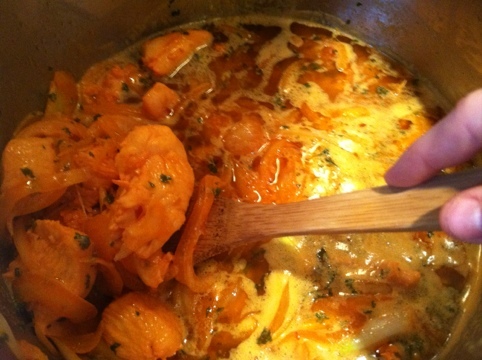 There really is very little difference between the recipes, besides the obvious: one has shrimp and the other has chicken. So the first thing I did was to cut my chicken into small little sections. Its going to fall apart a bit, so don’t cut your chicken too small. I’m going to approximate that mine were about an inch or two long, and maybe a little less than an inch thick… Who knows. You don’t have to worry about this too much, because I just cut them however I could to keep them small and get the fat off. If you want tiny itty bitty little pieces of chicken then go nuts and chop it up! Now, I made this dish for the holidays, so I made a LOT of food. You don’t need to make as much, unless you have a small army to feed. I basically tripled my recipe from last time, but I also increased a few things. I’ve made a whole bunch of Chicken Mozambique since this first recipe, and Mr. O seems to think I’ve perfected the recipe, so I’m going to do a post in the very near future with my own fancy recipe for y’all. Wolverine loves to help out cleaning and cooking, so he helped me mix the ingredients. 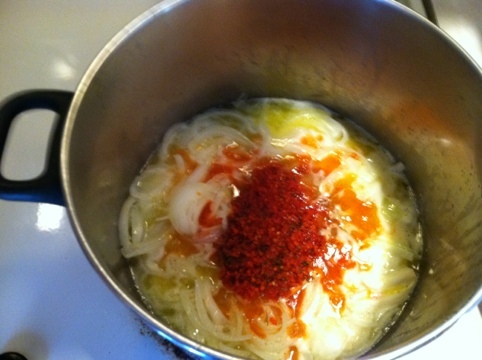 While your butter and onions are cooking, you’re going to want to mix the garlic, wet crushed red pepper, Goya, tabasco sauce, parsley. He did a fantastic job of trying to keep them all a little separate so that I could take a picture. 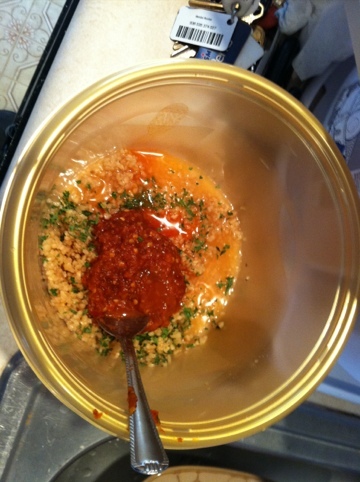 Alright, so now that you’ve mixed up everything, you can toss your chicken into the sauce. At this point, you’ve got nothing to do but cover the pot and let the chicken cook! I took this picture to show you what everything looked like when my chicken was done cooking. 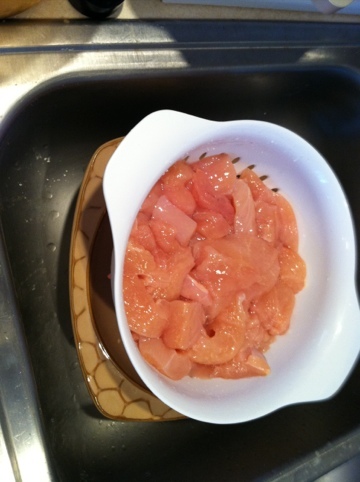 You’ll know your chicken is ready when it turns “white.” You don’t want to see any pink inside the meat. 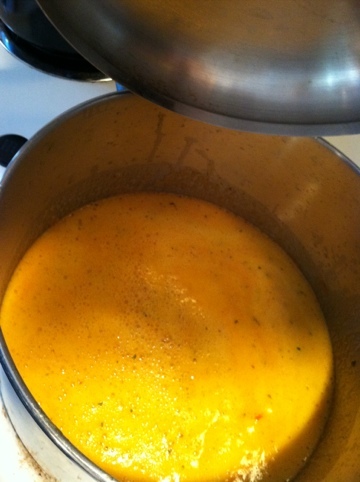 However, it’s actually going to take the color of the sauce, so it will be a tad orange-colored. The meat doesn’t take too long to cook, so technically you would be free to serve this right away, but I prefer letting it sit a while to really absorb the flavors. That is up to you. If you let it sit, you’re obviously going to need to reheat it before eating. You can serve this anyway you please. For this meal I made a whole lot of white rice, and we just scooped the chicken and sauce over the rice. You can also serve it over pasta. You can serve it as is too, especially if you’re got some nice bread to dunk in the sauce. Enjoy! 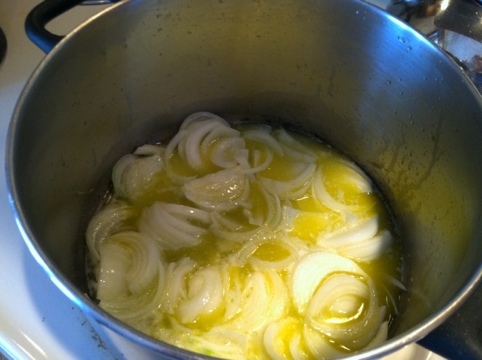 This entry was posted in 101 in 1001, Cooking, Mr. O, Pictures, Wolverine and tagged Recipes.